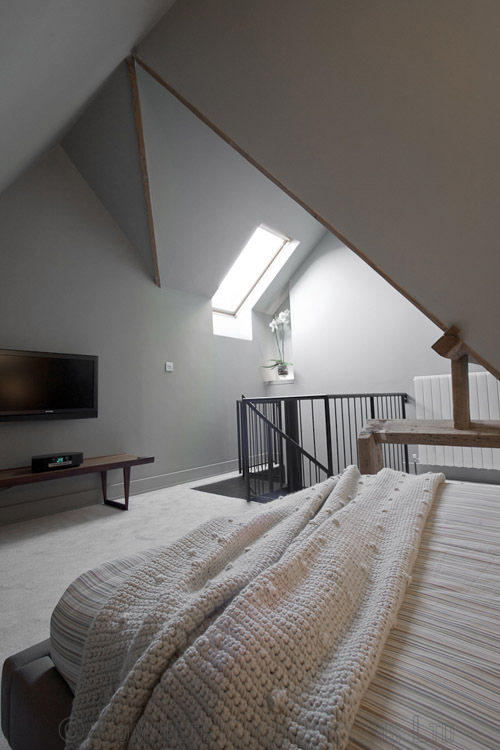 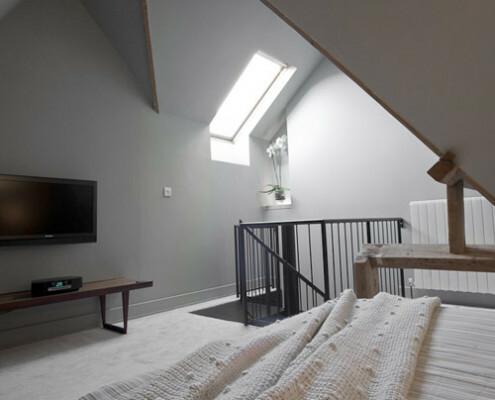 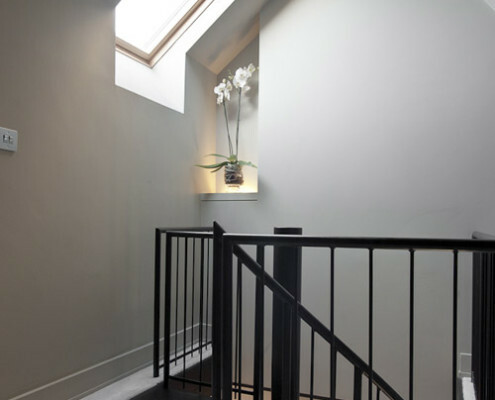 Our client was an Artist by profession requiring access to a bedroom in the new loft conversion. 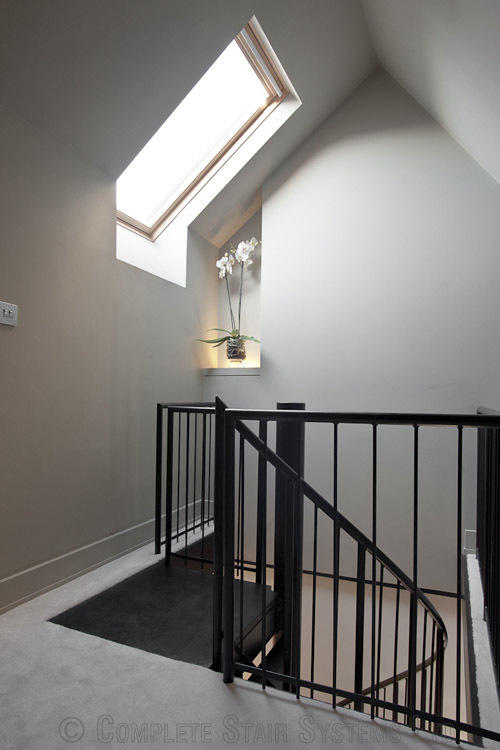 The property had very high ceilings and the floor to floor height was calculated at 3900mm. 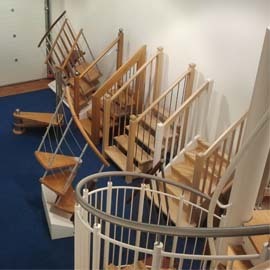 Added to the height we had a very tight opening to work this. 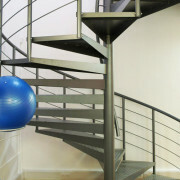 The stairwell had to be fixed at 1500 x 1500mm so we squeezed a 1450mm diameter model in place. 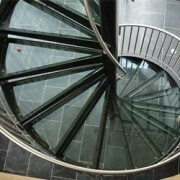 When viewed from the side the spiral looked very long and thin. 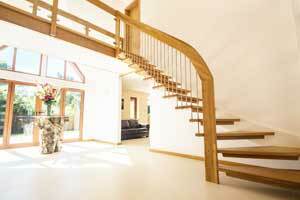 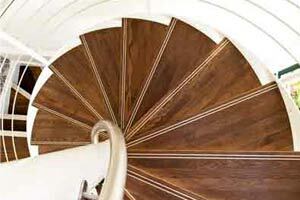 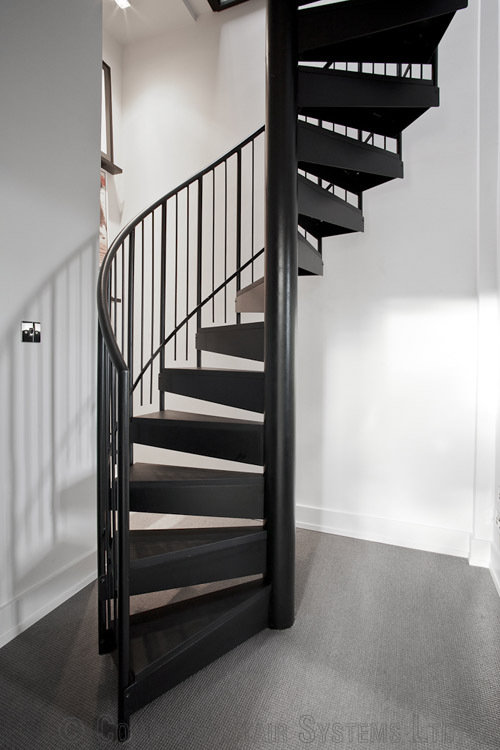 Our customer was on a budget so it was agreed to supply the spiral staircase Primed for on-site painting. 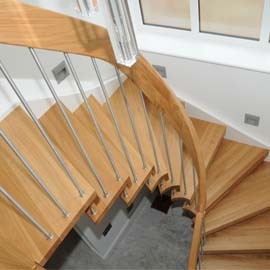 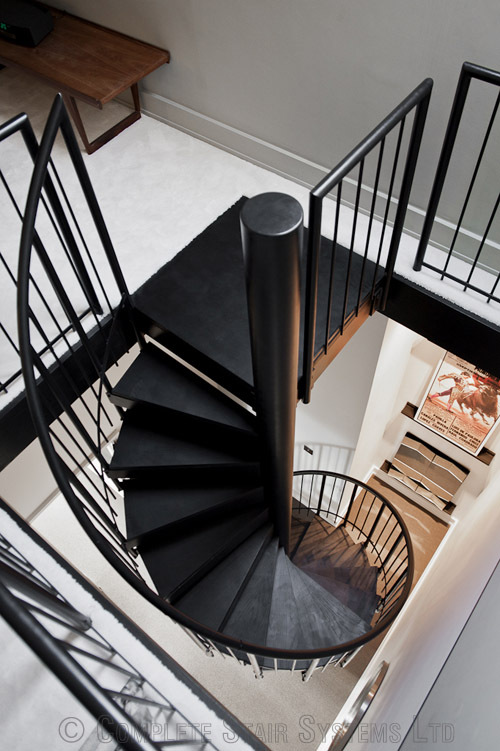 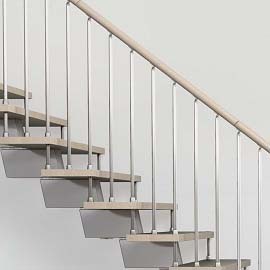 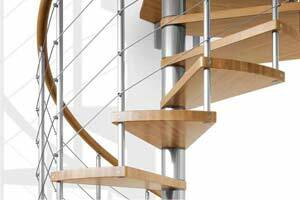 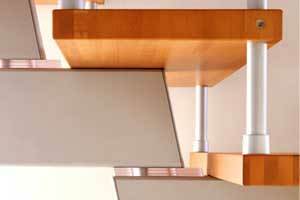 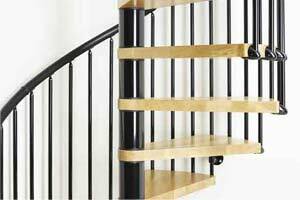 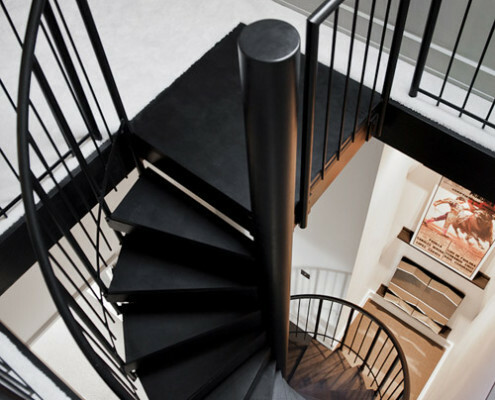 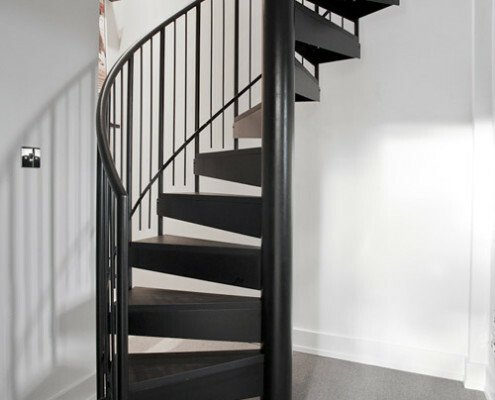 Timber treads with steel vertical spindles and a steel handrail were supplied, plus some straight sections of balustrade upstairs to protect the void. 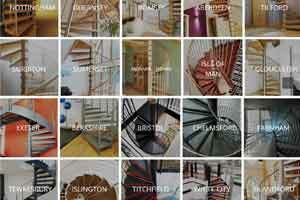 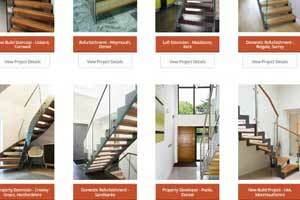 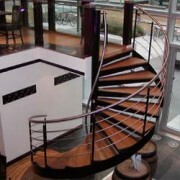 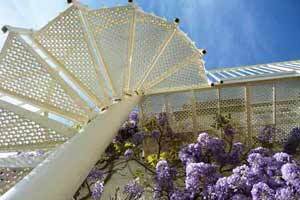 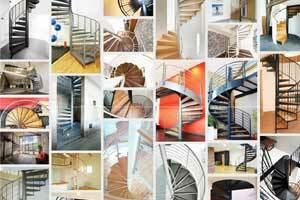 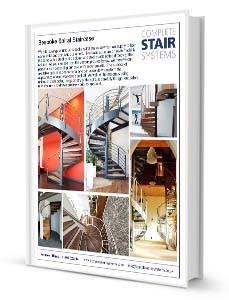 If you would like a price for our project ‘Spiral Staircase Bristol’, then please fill out the form below. 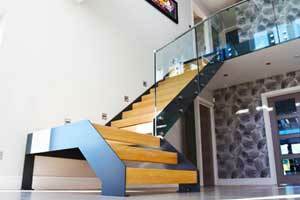 "I really enjoyed this job. 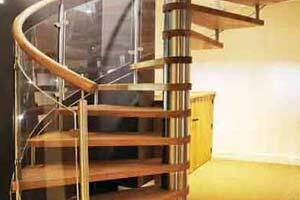 Although the height and diameter were an unusual combination the client and I got on really well and he put his artistic skills to use (with the aid of a good camera no doubt) when he sent the picture in a few months later. "